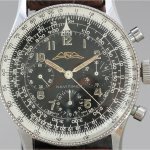 CASE & BACK: This Vintage Breitling CoPilot measures a large 41.5 x 47mm not including crown and is 14mm to the top of the flush fit crystal. 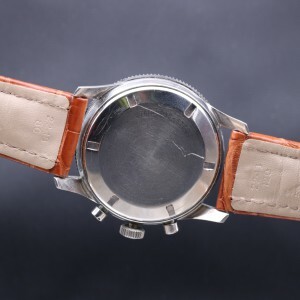 There are very few superficial scratches and some nicks commensurate with a worn 50-year-old tool watch — Fantastic vintage condition overall. 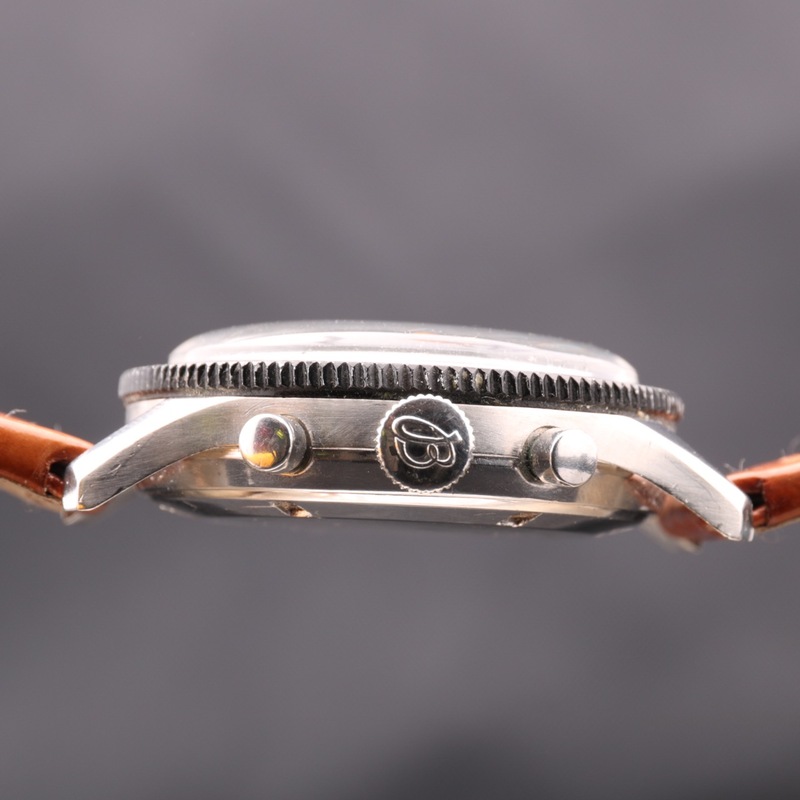 The outer part of the screwed steel back has some very light and superficial scratches but shows its original Breitling nomenclature of the period including the serial number on the outside, which indicates a 1965 production, and correct 765 CP reference–also Excellent original cosmetic condition. 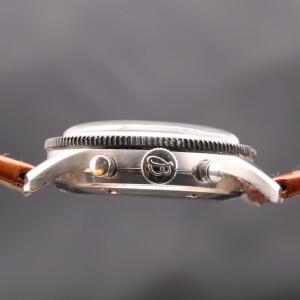 The inner caseback shows no corrosion and has the correct internal Breitling engraving of the era. 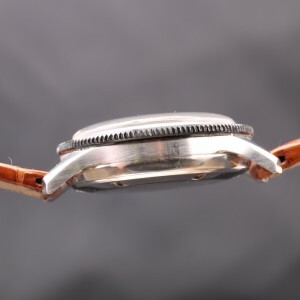 BEZEL: The Anodized aluminium rotating bezel is in good condition . 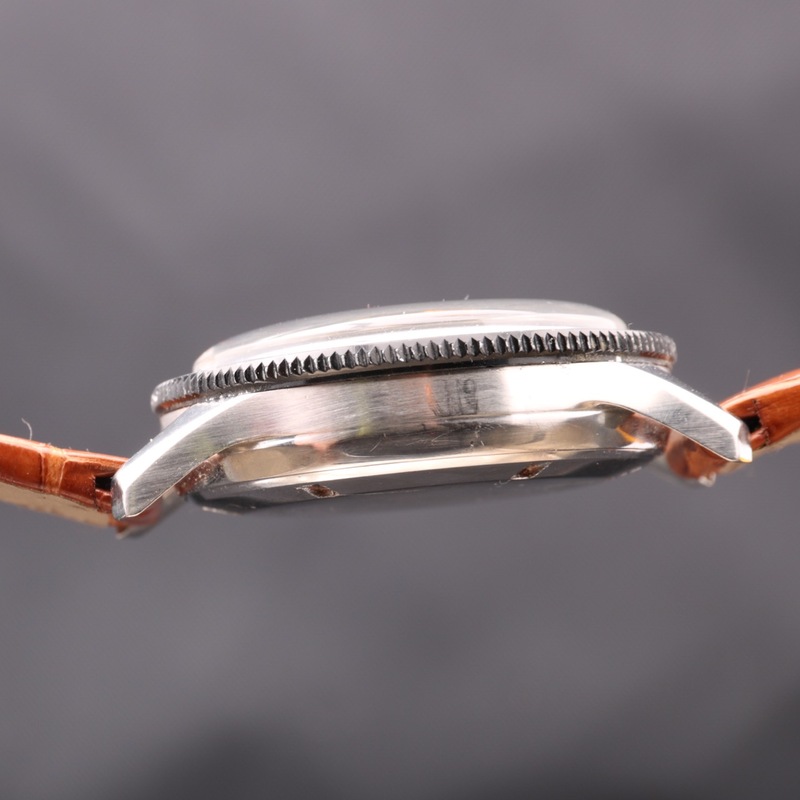 The bezel itself rotates with good tension in both directions as designed. DIAL & HANDS: Absolutely Near Mint matte black dial with white printing and finely calibrated track and only the minor imperfections visible under a loupe All original ‘very light cream’ colored Tritium luminous numbers. CROWN & PUSHERS: Signed Breitling crown looks very clean and winds and pulls out to the time-setting position as it should. It sits tightly against the case. 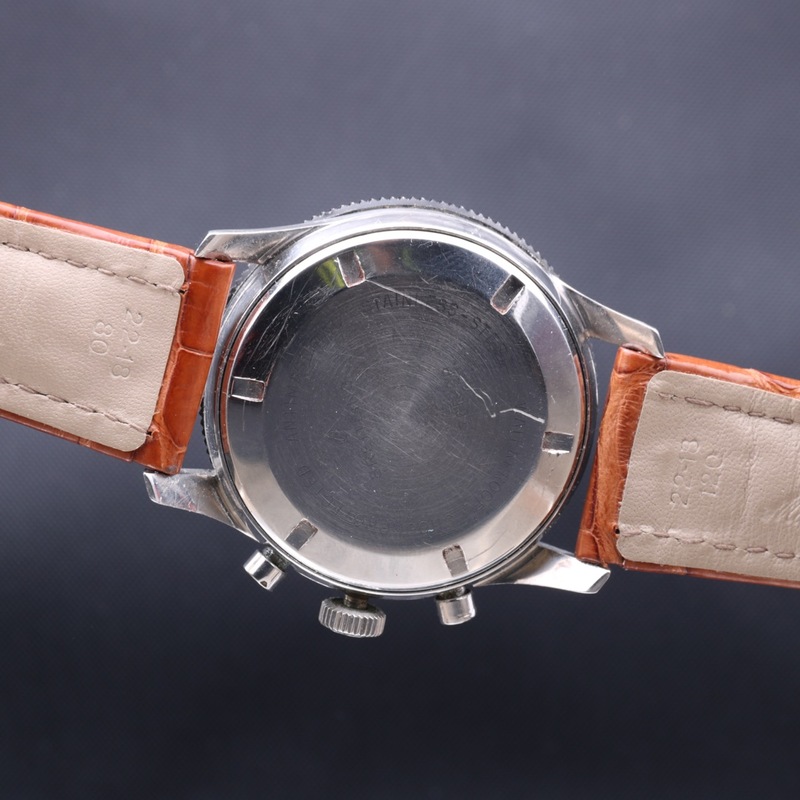 The two pusher caps are likewise in Excellent shape and both chrono pushers work as they should and also nice and crisply. 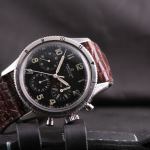 MOVEMENT: Legendary Venus 178 chronograph movement modified to accommodate the 15 minute counter is looking bright and working well with all correct Breitling nomenclature of the era and shock protection. 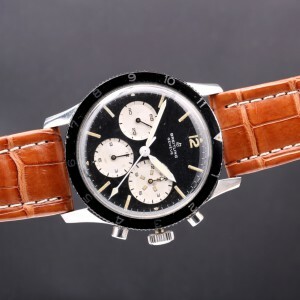 Watch is keeping good time with a strong power reserve and all chronograph functions are working properly and returning to zero. This is guaranteed to be the case at the time of shipment.